How to Win a Spelling Bee! The 55,000 Word Talking Spelling Bee. And remember... before I share any advice or resources with you, I consult the world's experts. 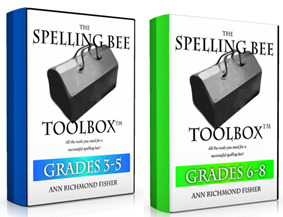 If it's recommended by Word Buff, then it's been recommended by champion spellers, bee organizers, or researchers in the field. UPDATE -- I'm always getting emails from teachers asking for more information about how to run a spelling bee. Just before you go... you might like to take a moment to sign up for my free Word Buff Stuff! newsletter. Simply enter your email and name in the box below, click 'Submit', and I'll send you out all sorts of knickknacks (is that how you would spell it?) from the world of words and word games.